The farm gets its name from the phrase “Bumbleberry Pie,” which is a pie made from a mixture of many fruits. This leaves room for imagination and experimentation, two things Bumbleberry Farm embraces. 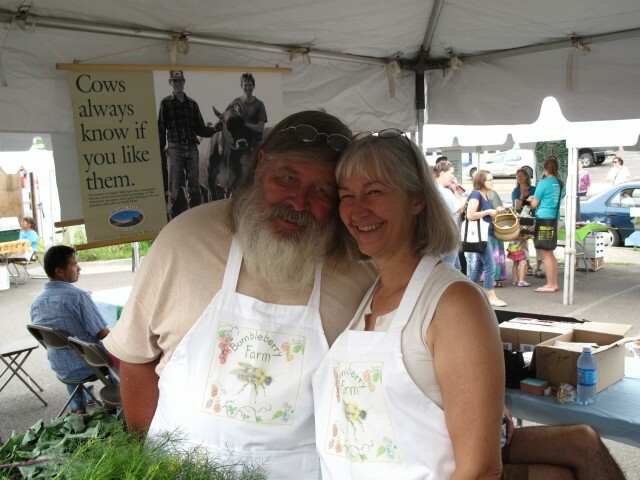 Bob Brewster & Patty Koehler grow a wide variety of fruits, vegetables, & herbs, not to mention a fresh honey harvest, and approximately 14 variations of garlic and 40 of specialty heirloom tomatoes. Everything is grown using sustainable farming practices, without the use of pesticides or herbicides.